The check engine light came on in my car. I pondered what to do and where to take it. So here's what I did. I took the car to a mechanic. He said that over the course of evolution the check engine light came about, there is no mechanical reason for having one, it has no function, and he recommended taking it out. I decided on a second opinion. I took the car to another mechanic. He specialized in fuels. He said fuel specialists weren't sure why check engine lights come on, but he had several liquids, and other additives that he wanted me to use on a daily basis. He said that they would make the light dim enough so I would not notice it when it was trying to tell me something. I decided on a third opinion. This mechanic said my car was intelligently designed and that all things were put there for a specific purpose. 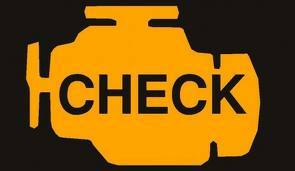 The check engine light meant something was wrong. He decided to look for the problem that was actually causing the light to come on, and address it from the source instead of "taking it out" or "treating with other liquids and potions". What he found was a simple electrical short that was easily fixed, and with minor regular maintenance it should run perfectly as it was designed to do. All too often people are looking for solutions that come from pills, potions, and chemicals or even worse surgery without addressing the root of the problem. There are times when all of the above is needed, but none should be the first line of defense. Don't just cover up the symptoms or have the problem removed, get an accurate diagnosis from someone who understands this and has been trained to look at things from this perspective. Times and healthcare are changing. As we evolve and get better educated, we are (re-) discovering that there is a balance in all things and cutting things out, or masking the symptoms is in most cases not the best answer as it was thought years ago. Chiropractors are being included in the FRONT line treatment at VA hospitals, on EVERY major sports team, placed on Hospital staff, and some insurance carriers are mandating that Chiropractic and physiotherapy be tried FIRST before back surgery is performed. If you or someone you love has an "engine light" going off, I urge you to seek Chiropractic care first and have the problem properly diagnosed. At MAGNA Chiropractic Dr. Hawley and Dr. Rogers do full physical evaluations and help educate the patient on what/where their problem is coming from. They offer many forms of treatment and in many cases work in conjunction with your Medical Doctor.